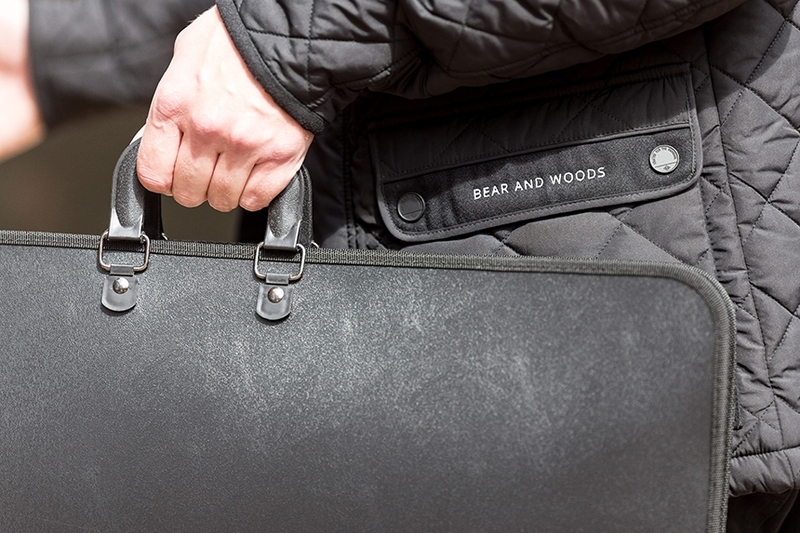 At Bear and Woods, we pride ourselves on being meticulous in everything we do. Every kitchen we produce is crafted to painstakingly high standards and we never cut a corner. We begin every kitchen project with a design consultation, before following three stages to bring your ideas and concepts to life. We understand that coming up with the perfect design for your Bear and Woods kitchen takes time – and we are happy to work with you to get there. Following our initial consultation, we will create a first draft of the design, including detailed line drawings, a floor plan and an estimated cost for the kitchen cabinetry. However, that is by no means the final design. Like all great design we know that it needs to be revised and refined. There will be elements that you are keen to tweak and we are more than happy to talk it over to make something that suits all of your requirements. If you are completely happy with the design we have created together, we will give you a detailed final quote and fixed price. Upon acceptance, we will agree a date for your new Bear and Woods kitchen to be built and installed. Ordering Materials: No two Bear and Woods kitchens are ever the same, so we begin by ordering all of the materials required to bring your kitchen design to life. Construction: In creating your hand-built kitchen, we make sure everything is correct down to the millimetre – so you can be sure it will fit come installation day. Quality Control: We are perfectionists and put the same thought and care into every element of your kitchen. You can be sure that it will not leave our workshop until it has been thoroughly checked for flaws. Delivery: We appreciate that every Bear and Woods kitchen is an investment. We therefore take care to carefully prepare all of your kitchen cabinetry for delivery, to ensure that it arrives in mint condition. There is more to fitting a bespoke kitchen than simply slotting the cabinets together. As skilled joiners, we use our carpentry skills and a trained eye to ensure that everything correctly comes together – taking into account the quirks and unique characteristics of your home. The final task to add all those finishing touches that make your kitchen truly unique. We hang the doors and fit the handles. Overall the installation process usually takes about a week, but is always our favourite part of the process! If you would like to arrange a FREE design consultation, get in touch and speak to us. You can call us on 01603 905145 or send us an email to info@bearandwoods.co.uk. You can also keep up-to-date with our latest news by following us on Facebook.